The global landscape in the fight against cross-border tax avoidance and tax evasion has changed dramatically since the third International Conference on Financing for Development held in Addis Ababa in 2015. A panel of senior experts will discuss the progress made by the UN and the OECD since the Addis call for more inclusiveness, both in terms of institutional arrangements and policy guidance, to support developing countries in coping with the challenges posed by international tax avoidance and evasion. The call for change was made with a view to increasing tax revenues for investment in sustainable development. The effectiveness and operational capacity of the UN Committee of Experts on International Co-operation in Tax Matters has been strengthened and its engagement with the UN Economic and Social Council (ECOSOC) increased. The panel will show how this allowed the UN to achieve some important milestones in addressing international tax avoidance and evasion, including relevant updates to the UN Model Double Taxation Convention between Developed and Developing Countries and the UN Practical Manual on Transfer Pricing for Developing Countries as well as the adoption of the UN Code of Conduct on Co-operation in Combating International Tax Evasion. The Inclusive Framework on Base Erosion and Profit Shifting (BEPS) and the Global Forum on Transparency and Exchange of Information (the Global Forum) have also been important in helping to bring about change, and in taking forward the commitments as agreed in Addis. The course will explain how nearly 100 countries and jurisdictions are working together on an equal footing in the Inclusive Framework on BEPS to tackle tax avoidance, in particular preventing tax treaty abuse and introducing country-by-country reporting for the activities of multinational enterprises. The BEPS outputs are soft law legal instruments. They are not legally binding but there is an expectation that they will be implemented accordingly by countries that are part of the consensus. The past track record in the tax area is rather positive. Minimum standards were agreed in particular to tackle issues in cases where no action by some countries would have created negative spill overs (including adverse impacts of competitiveness) on other countries. Recognising the need to level the playing field, all OECD and G20 countries have committed to consistent implementation in the areas of preventing treaty shopping, Country-by-Country Reporting, fighting harmful tax practices and improving dispute resolution. 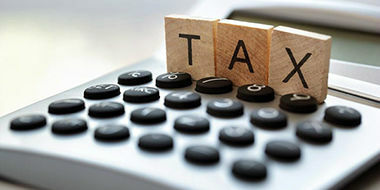 In other areas, such as recommendations on hybrid mismatch arrangements and best practices on interest deductibility, countries have agreed a general tax policy direction. In these areas, they are expected to converge over time through the implementation of the agreed common approaches, thus enabling further consideration of whether such measures should become minimum standards in the future. Guidance based on best practices will also support countries intending to act in the areas of mandatory disclosure initiatives or CFC legislation. New tax rules may however conflict with investment treaties and trade rules.